Pattented Aug 11, 1891, April 11, 1905. Among wood workers this has been THE vise to have for over a century. The top of the vise has bench pins for clamping above the vise or across the bench. 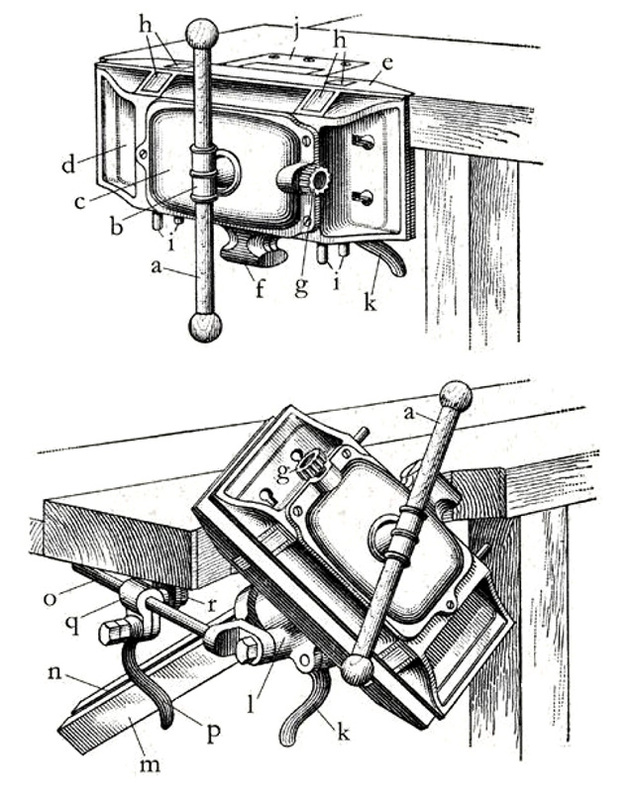 The vise rotates and tilts to many angles, thus is "universal". 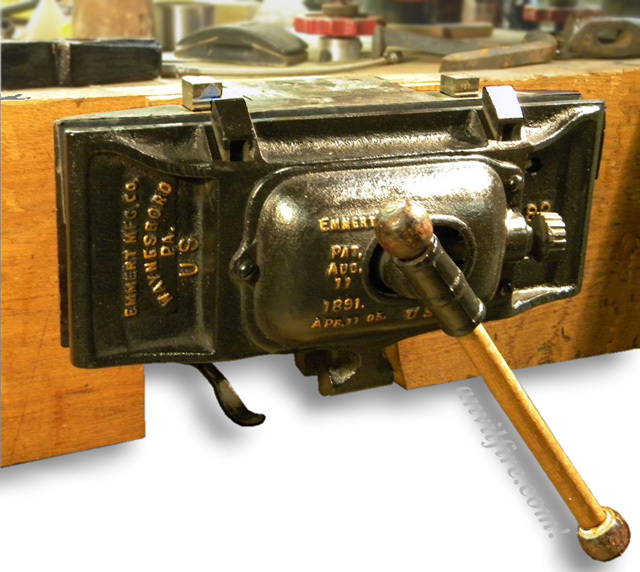 Emmert is also the maker of the Tool Makers' and Metal Workers' Universal Vise.